With our in-depth knowledge of this domain, we are actively engaged in providing an excellent quality range of Crunch Leather Fabric. - It is used in the manufacturing of safety & industrial boots and fancy shoes. 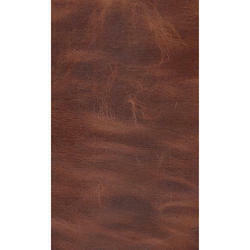 We are an accomplished organization which has gained name and fame in providing Crunch Raw Leather to the customers. Enriched by our vast industrial experience in this business, we are intricate in providing Milled Finished Leather. 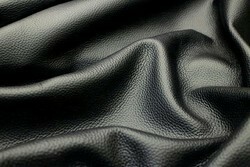 We are remarkable entity, engaged in offering superior quality Buff Crunch Finished Leather. - Excellent finishes like. Nubuck, crunchy, full grain etc. - Stands all test norms passed eg. Pcp, azo, chrome6 free. We are remarkable entity, engaged in offering superior quality Buffalo Finished Leather. Black Colour Leathers are one of the highly durable merchandises of our firm sold at very convenient and economical market price as per the cherished demands of our patrons.